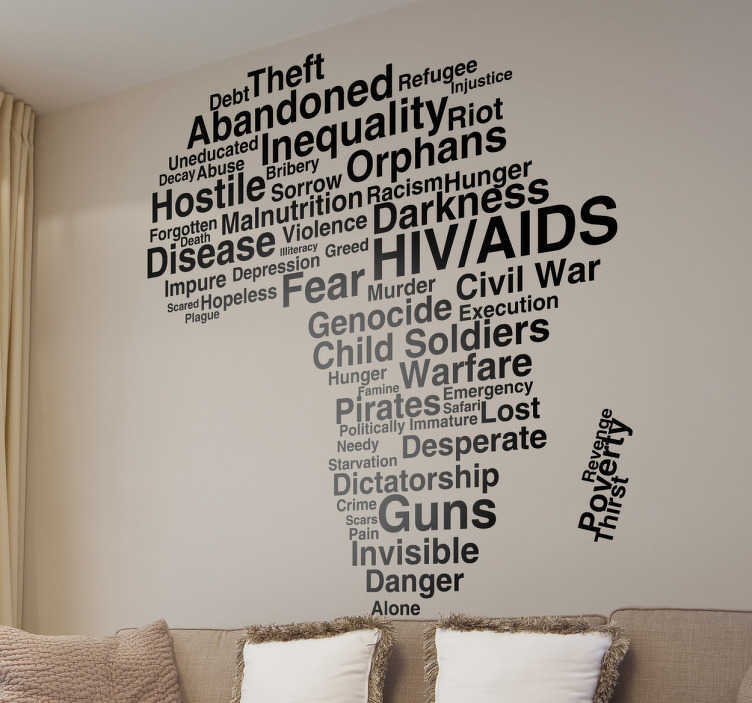 Decorate your wall with this useful vinyl sticker in the shape of Africa, with words relating to the current problems in Africa. Make everyone aware of the issues that are happening in Africa with this educational decal. This Africa sticker is suitable for all smooth surfaces and is easy to apply and leaves no residue upon removal.